Private Gated Townhomes built in 2015. Muirfield Village at Honore, is a gated community of new townhomes in Sarasota near The Meadows, Desoto Lakes and University Park. This Sarasota County community is located conveniently near University Parkway, just minutes from University Town Center Mall and all the rest of the area’s shopping, and medical facilities. Also located nearby is the Nathan Benderson Park’s world-class rowing facility. And this community is proud to be a part of Emma E. Booker Elementary School district. Not only will you have direct access to such popular destinations as Bradenton Beach, Longboat Key and Siesta Key, you are also a short hop from St. Petersburg by way of the famous Skyway Bridge, a short commute to Downtown Tampa, MacDill Air Force Base, and Ybor City, via I-75, and within hours of Disney/Orlando, Naples or Gainesville (for some college ball). Don’t miss your opportunity to live in this fantastic, private community. Not only is this a gated community, but it is also backed by a conservation area, so your privacy is assured. Also, this is an M/I Homes exclusive community, featuring just 63 home sites. Because of the small size of this community, homes won’t last long. So don’t miss out on living in this one of a kind, M/I Homes exclusive community. 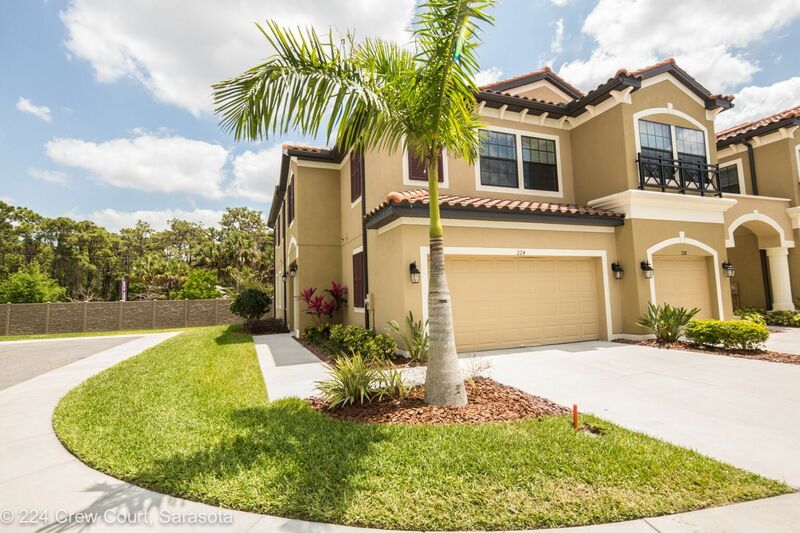 These Southern Florida-style townhomes have 4 available floor plans with stunning open concept living, granite countertops in the kitchen and bathrooms, 42″ cabinets, tile floors, and remarkable exteriors. You’ll have the ability to choose from 2 and 3-bedroom townhomes, with options that include pond views. Every M/I Home has been built with uncompromising quality, innovative design, and enduring value, and these Townhomes are no exception. M/I Homes of Sarasota is proud to build your new home. Quality construction and long lasting materials have become a cornerstone of M/I Homes. Your home will be backed by our Industry-Leading 15-Year Transferable Structural Warranty. To see the community first hand, contact Oliver McConnell 941-539-1916 to schedule a community tour!